Erie visioncast weekend 2015 : message in 8 tweets! Psalm 9:1-2 (NLT) - I will praise you, Lord, with all my heart; I will tell of all the marvelous things you have done. I will be filled with joy because of you. I will sing praises to your name, O Most High. Matthew 11:28-30 (MSG) - “Are you tired? Worn out? Burned out on religion? Come to me. Get away with me and you’ll recover your life. I’ll show you how to take a real rest. Walk with me and work with me—watch how I do it. Learn the unforced rhythms of grace. I won’t lay anything heavy or ill-fitting on you. Keep company with me and you’ll learn to live freely and lightly. 1. Sometimes the best decision you can make is to GO when it would be easier to STAY. 2. To step toward your destiny, sometimes you have to step away from your security. 3. To go where you’re supposed to go, you’ll need the faith to leave where you’re at. 4. You have no idea what you’ll miss out on if you don’t obey when God is calling you to GO! 5. Based on what God wants you to want, what step of faith do you need to take? 6. God didn’t call us to an EASY life, he called us to a FAITH FILLED life. 7. Without Faith, it’s impossible to please God. 8. You don’t have to have the faith to FINISH, you just have to have the faith to TAKE THE FIRST STEP. 9. Your story will be either, BY FAITH I STARTED, or by FEAR I STAYED. 10. Don't live to take the edge off your fear, live to put the edge on your faith. Psalm 57:8-11 (MSG) - I’m ready, God, so ready, ready from head to toe, Ready to sing, ready to raise a tune: “Wake up, soul! Wake up, harp! wake up, lute! Wake up, you sleepyhead sun!” I’m thanking you, God, out loud in the streets, singing your praises in town and country. The deeper your love, the higher it goes; every cloud is a flag to your faithfulness. Soar high in the skies, O God! Cover the whole earth with your glory! 1. Sometimes the best decision we can make is to STAY when it would be easier to go. 2. The more God uses us, the more we'll be tempted to quit. 3. In light of what God wants you to want, where does God want you to stay the course when it would be easier to walk away? 4. Sometimes your greatest act of faith is your FAITHFULNESS. Join us at McLane Church in Erie, Union City or Edinboro, Pennsylvania. 2. 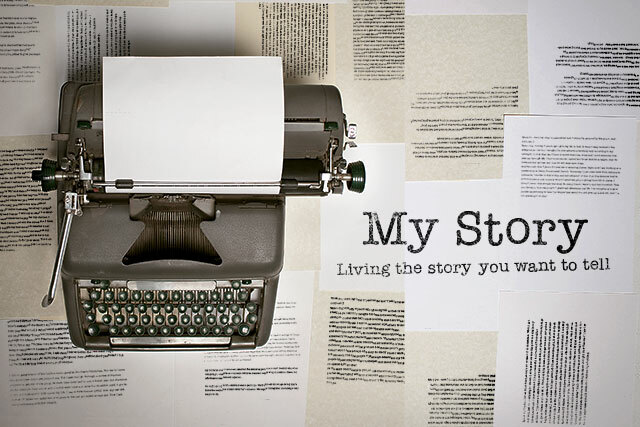 What will you decide to STOP doing today to write a better story with your life? 3. What does God want you to want? In light of that, what do you need to stop? 4. Play the story forward...see where it's going. If it's not helping you write the story you want to tell...STOP DOING IT! 6. The decisions we make TODAY will determine the story we tell TOMORROW. 7. Internal sin can be more destructive than external sin. Commit sin to God and ask him to help you stop! Psalm 63:1-4 (MSG) - O God, you are my God; I earnestly search for you. My soul thirsts for you; my whole body longs for you in this parched and weary land where there is no water. I have seen you in your sanctuary and gazed upon your power and glory. Your unfailing love is better than life itself; how I praise you! I will praise you as long as I live, lifting up my hands to you in prayer. This year, at the prompting of my wife (yes, she's the best) we've attempted to become a #footballfamly. We've picked a favorite team, the Denver Broncos, and have spent 16 weekends cheering on Peyton Manning and his crew. There is a lot of emotion in football. There is the thrill of victory and winning, the pain of loss and defeat, anger from bad calls (or at least the perceived ones), anxiousness from a dwindling clock coupled with a close score...and, well, you get the picture. All of these are pretty easy to identify with...because we've all been there at least to some scale in our lives. However, there is one emotion that I've struggled to identfy with...until recently. This emotion is the one created by players who are on the team, but have to sit the game out. Every week, there are the players who sit on the bench just waiting to contribute while the game goes on. Take a second and try to imagine what that feels like?! Have you ever been, "benched" when you'd rather be in the "game?" Being a person who is a "do-er"...and one that hates to sit still, I don't give myself an opportunity to feel this emotion much. If I see something that needs to be done...or something that needs extra attention, I do my best to go after it and add my contribution. This week, after contracting a bug, I've had to sit on the bench a lot. I'm a Pastor by vocation...which makes the weekend like GAMEDAY! To take this analogy one step further, Christmas time is like the SUPERBOWL and we're in the red zone! After having to miss the weekend before Christmas at church, I'm living in the emotion of what the bench feels like. 1. The bench is where you focus on cheering on your team. Here's what I know: IT'S NOT ABOUT US! What an amazing lesson that I need to continue to learn over and over. Maybe you need this reminder too? Whether you're in the GAME or on the BENCH...we alwasy need to be elevating those around us...because we're in this together. The team is ALWAYS greater than the PLAYER. Cheering from the bench is a HUMBLE and AWESOME responsibility...one that reminds us of a healthy perspective that life is not all about us! I want to challenge you to never look at your life as your own prosperous adventure. Who can you cheer on today? 2. The bench provides a wide-angled perspective of the game. So often, when we're in the game, it's hard to step back and take an objective look at the big picture of what's going on. Our perspective from being on the field is much more myopic than the panoramic perspective from further away on the sidelines. Stepping away for a bit allows us to gain a much needed and greater perspective. When this opportunity comes, we need to embrace it as a gift. 3. The bench is a reminder that you've been recruited. I want to explore this one the most. As I've struggled to sit on the sidelines...feeling like I have something to offer while not being able to do so, this one truth has stood out to me the most: God loves me for me. I don't have to do anything to make Him more pleased with me. I don't have be more ambitious for Him to love me more. My CONTRIBUTION is not MY WORTH...and MY ACCOMPLISHMENTS are not what put me on the team. God loves me for me. God picked me and put me on the team. Sometimes, we can get very mistaken on why we're at where we're at. Aside from GRACE, we'd be nothing...and on a road to no where. GRACE is what makes us who we are...and allows us to do what we do. We can give our best, but our best can often become an idol that we work toward. I've been reminded of this lately. Have you thought about your successes? If you believe your accomplishments have allowed you to achieve success, who first gave you your abilities? TRULY, it all comes from God's grace! This is a great reminder...that whether we're in the game or on the bench, God has CHOSEN us, PICKED us for the team and has us SECURELY on the team to accomplish His purposes...which HE WILL work out through us! Psalm 138:8 says, The Lord will work out his plans for my life— for your faithful love, O Lord, endures forever. So, today, if you're in the game or on the bench, these things apply to YOU! (1) Who can you cheer on around you? (2)How can you keep a big perspective of what's going on around you? ...and above all (3) Remember that God picks us FOR US...and not for what we can DO FOR HIM. He loves us for the unique, wonderful creation of YOU...the one He hand-made as a prized posession, chosen and loved to fulfill His great purposes. 1. We can miss incredible opportunities when we ignore God's promptings. 2. The Holy Spirit often moves in us through POWER, PROMPTINGS and PEACE! 3. Through the Holy Spirit's intercession and power, our lives become re-ordered, to be in harmony with Gods will and plan. 4. The Holy Spirit prays on my behalf because God always knows what I need...even when I don't know what I need. 5. When the Holy Spirit prays on my behalf, God listens! 6. The will of God is the PERFECT plan for my life. 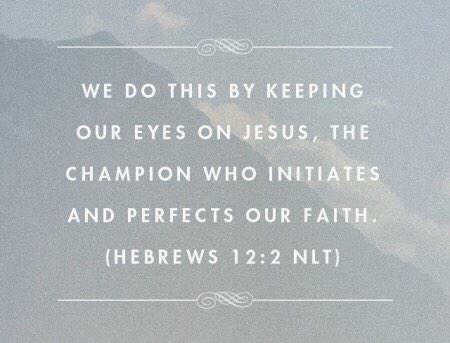 If I could see the big picture like God does, I'd never hesitate to choose it! 7. God has the power to work EVERYTHING together for good...not just the good things in my life. Romans 15:12-13 (NLT) - And in another place Isaiah said, “The heir to David’s throne will come, and he will rule over the Gentiles. They will place their hope on him.” I pray that God, the source of hope, will fill you completely with joy and peace because you trust in him. Then you will overflow with confident hope through the power of the Holy Spirit. "Life in the Spirit" in 9 tweets! 1. Fulfillment is found in GOD alone. 2. The first step to finding fulfillment is seeking God. 3. Condemning ourselves comes easy, but in Christ Jesus, there is NO condemnation! 4. Sin isn’t an act. Sin is a state that we're in apart from Christ. 5. Sin is the power that PULLS ME AWAY from God. 6. The Holy Spirit’s power FREES US from the power of sin. 7. Life in the Spirit means the goals and desires of this life become the expression of God's will rather than our own. 8. In Christ, the HOLY SPIRIT'S power living in me RESOURCES and DIRECTS everything else in my life. 9. Without Holy Spirit, emptiness is found in ourselves | Empowered by Holy Spirit, we find WHAT WE NEED in GOD! Generations unite. Don't miss a great opportunity in front of you! What does it take to bring generations together? This is a question I've asked a lot lately...because in the past 3 days, I've found myself at two different events that brought together at least 3 generations of people respectively! Strange. This is not the norm in my life! Event 1 was a guitar clinic that we put on at our church taught by a world class player, Josh Karickhoff. It was aimed at giving practical tools to anyone interested in becoming a better guitar player. Kids, parents and grandparents all came together to be inspired and equipped to grow in their musicianship! Event 2 was a "Christmas carol-sing" put on by our local MOPS program at a nearby retirement home. Our Mothers of Pre-Schoolers (and their children) wanted to serve our community by bringing Christmas cheer / and beloved toddler-chaos to a facility that doesn't get to experience the latter on a daily basis. :) New borns were cradled by grandparents, moms and dads sat beside their moms and dads...and youngsters exchanged hugs and hi-fives with old timers! It was an awesome display! As I had a front row seat to both events, what warmed my heart the most was seeing multiple generations enjoying time together. In a fast-paced and myopically-focused world, it's sometimes difficult to see how blessed we are when we get to share an experience with multiple generations. Think of those your work with, go to school with, commute with, chat on Facebook with, eat meals with, go to church with (gasp), and look forward to being with... Now, how many of these events will put you with more than 2 generations? If you're like me...maybe not many of them. Yet...these are what take up most of our time. Part of what I love about this season is that it it is SATURATED with open invitations and common interests. In this season, you can experience holiday parties, family gatherings, community service opportunities, dinners, worship services...and MORE! When these open invitations and common interests are accepted and explored with intentionality, we are enriched! Here's what I know. We're all part of the same family...and we've got so much to learn from one another. Generations can take their cues of what to-do and what not to-do from the generations that came before them. Not only that, but we're given the opportunity to love and spread hope to the generations that will come after us, should we accept that opportunity! We cannot do this if we're solely entrenched with our contemporaries. With humity and respect, with a heart willing to learn...and with the boldness to step out of what may be comfortable and convenient, we can LEARN SO MUCH FROM THE GENERATIONS AROUND US! You live uniquely positioned between the generations your are in the middle of for a reason. Have you ever stopped to consider this? As you make your plans to prepare for Christmas this year, consider how you'll best spend your time. Maybe this year, try to include more activities that involve open invitations and common interests! This is part of what Christmas is all about: ALL people from EVERY generation being INVITED to celebrate and remember the story that UNITES us into one great family! A Life of Frustration - sermon in 7 tweets! 1. Trying to find fulfillment in something other than Christ always leads to disappointment. 2. Seeking fulfillment apart from Christ is really living for "ME!" 3. Living for "ME" only shows my inability to achieve the fulfillment I desire. 4. In pursuing fulfillment apart from Christ our focus is on what we don't have...so we pursue more things, and the cycle continues. 5. In Christ, we're reconnected to God...and our pursuit of "fulfillment in things" no longer has to control us. 6. Pursue God FIRST and God will bring fulfillment. 7. 2 stepst toward fulfillment : 1) Name your frustrations -- 2) Don't try to FIX them...but rather pursue God THROUGH them! Ephesians 2:17-18 - He (Jesus) brought this Good News of peace to you Gentiles who were far away from him, and peace to the Jews who were near. Now all of us can come to the Father through the same Holy Spirit because of what Christ has done for us. Psalm 90:14 - Satisfy us each morning with your unfailing love, so we may sing for joy to the end of our lives. Psalm 13:5-6 - But I trust in your unfailing love. I will rejoice because you have rescued me. I will sing to the Lord because he is good to me. Gratitude always : Message in 10 tweets! [youtube https://www.youtube.com/watch?v=6znqpPaYzM4&w=560&h=315] This weekend, all of our site leaders were able to present their thoughts on Thanksgiving. Here is the message from our Erie Site in tweets! 9. As you approach the table this thanksgiving, will you first approach it with #Gratitude? 10. What can you do today to cultivate a greater heart of #Gratitude?